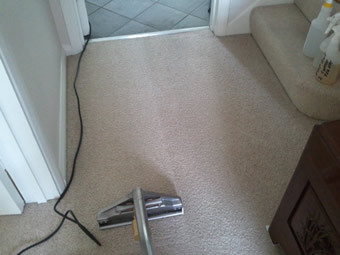 Most carpets dry within 1-2 hours! 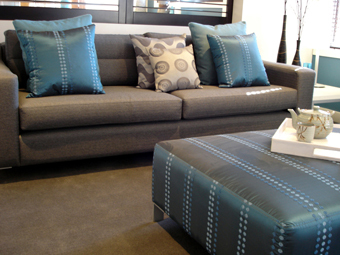 Looking to get one of the best professional carpet cleaning companies around and save money? Then we’ve put together some packages just for you! 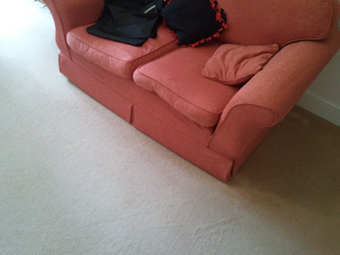 We have several carpet cleaning services to suit all pockets. 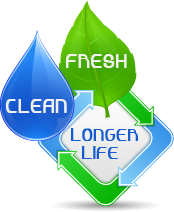 Walkway only cleans Want all the benefits of our full and comprehensive carpet cleaning service but at an economical price? Then consider our walkway only carpet cleaning service. In these difficult economic times this is fast becoming one of our best selling services. How does it work? In most houses the furniture doesn’t really get moved around very often, so we came up with our walkways only package. 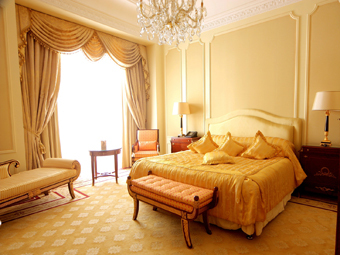 This service can be applied to any room, but particularly suits bedrooms where beds rarely move. Clear any loose smaller items of furniture from the room before we arrive (for example you could put side tables etc onto beds or sofas) and we will clean all the exposed carpet in the room for our special walkway cleaning rate. 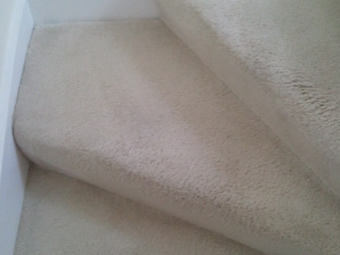 You get the benefit of our comprehensive best carpet cleaner service but at a reduced price. 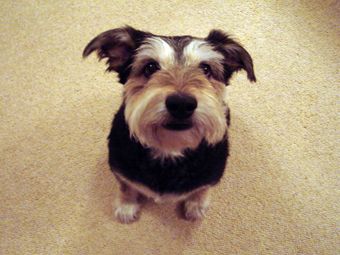 After all – why pay us to clean under furniture where the carpet is often already like new? Whole house or flat carpet cleaning Need all of the carpets to your house or flat cleaned rather than just one or two rooms? Doing the spring cleaning? 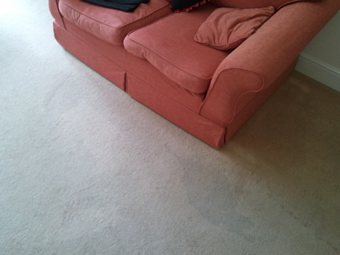 Our carpet cleaning prices get lower for each room when you have your whole house or flat carpets cleaned together. 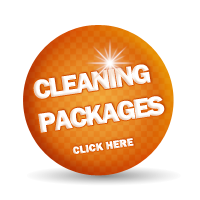 This service is also particularly suitable for end of tenancy cleaning. To save even more £s we also offer a walkways only rate for whole houses or flats. 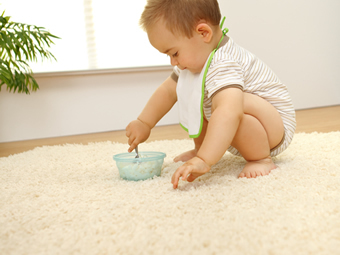 Carpet stain protection service It’s a fact that properly maintained carpets last longer. 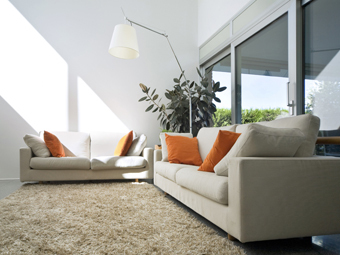 So save money – don’t replace your carpets, get them cleaned and stain protected by A Brighter Home. When you buy a new carpet, one of the optional extras is often a stainguard treatment such as Scotchguard® or Guardsman® to help repel stains. 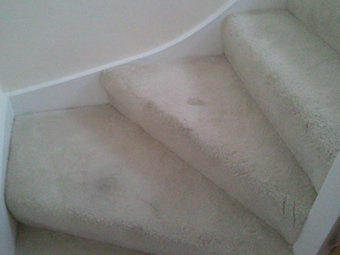 What many people don’t realise is that over time this stain guard coating wears off with general traffic and vacuuming. 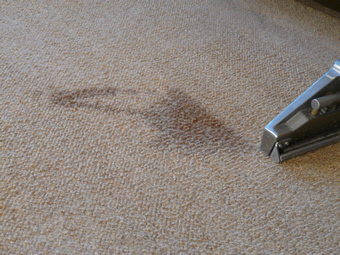 The good news is that for a fraction of the original cost, we can reapply our own stain protectant at the same time as we clean your carpets. 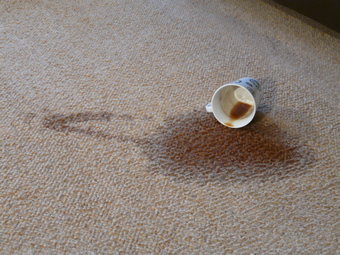 We are one of only a few companies who can offer a ‘co-apply’ carpet stain protector service as we clean. 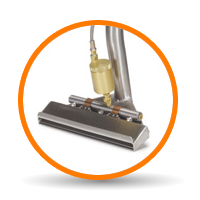 This has two benefits – it ensures the protector is thoroughly worked into the carpets as they are cleaned but also reduces drying times significantly as most companies have to spray protector on after cleaning. 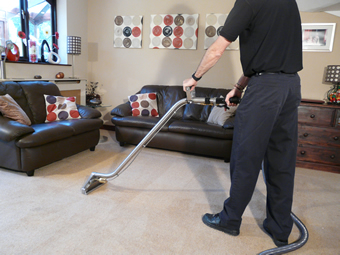 Our carpet clean and protect rates are only a small additional cost to our standard clean only service and will help to prolong the life of your carpets, thereby saving you significant money in the long term. 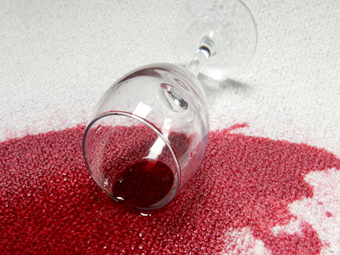 As an added bonus, all of our stain protection packages come with a free bottle of our popular ‘Professional Carpet & Upholstery Spotter’ to help you with any future stain removal. Call us on 0845 658 8276 for more information and a quote or click our Express Booking Button.